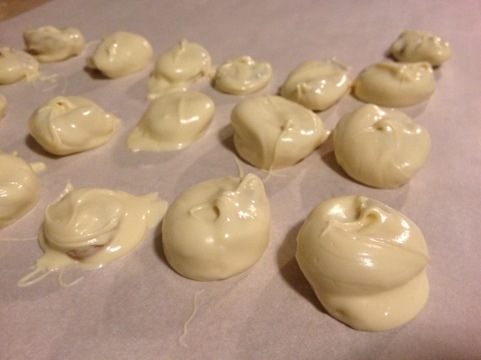 In my house these white chocolate covered apricots are tradition. I’ve made them every year since I was married and I remember my mom making them for the holidays. They’re so easy. You just need white chocolate and apricots. I melted my chocolate in the microwave for one minute and then stirred it and then microwaved again for one minute. 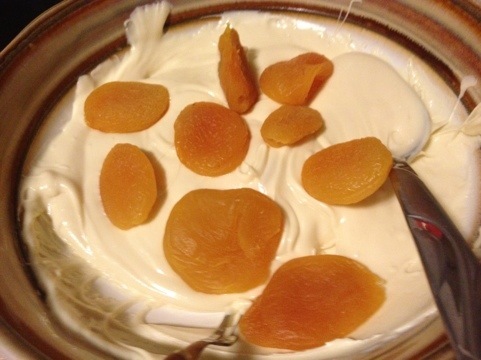 Then I tossed my apricots in made sure they were coated evenly and then I used a small pickle fork to fish them out. 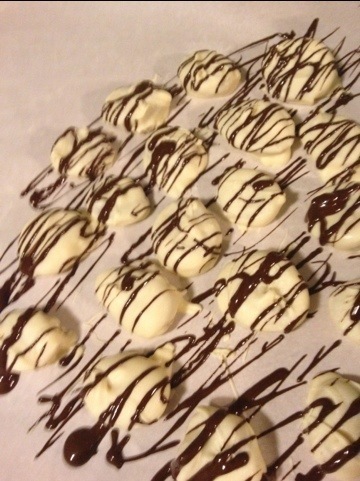 I left them on parchment paper to sit until the chocolate hardens. They are so easy and they look great on any holiday dessert plate.